A neighbourhood meeting to address tagging in Kaiti this week resulted in the development of a community action plan involving much more than painting out tagging. The meeting attracted more than 20 residents including a number of young people. Meeting organiser Manu Caddie said he was very pleased with the turnout with some very practical ideas being put forward to tackle the causes of tagging. A presentations from Gisborne District Council town planner Duncan Rothwell provided residents with a range of strategies to make tagging less likely. Using wire fencing instead of planks avoids providing a flat surface which is attractive to taggers. “A community paint out day is one approach but addressing the issues that create taggers seems like the most sensible strategy to prevent tagging” said Mr Caddie. The meeting heard from Police Sergeant Greg Lexmond that while tagging was at the lower end of the offending continuum, it is usually done by people under the age of 20 and still important for Police to respond to. Mr Caddie presented findings from international research on what families can do to prevent young people getting into trouble with the law. Mr Caddie said the four most important things parents and caregivers can do are: spend quality time doing things that the children enjoy; set reasonable boundaries and know where they are and who they are with; encourage participation in positive activities such as sport and kapahaka; and do everything possible to keep them in school. Presentations by Te Runanga o Ngati Porou staff informed the meeting about a mentoring programme they are working on in Kaiti schools. Ngarimu Simpkins, a Community Development Officer for the Gisborne District Council, presented an idea he is working that will involve taggers in a community art project. Mr Caddie said Ka Pai Kaiti will continue to work with local organisations, schools and residents to implement the plan coming out of the meeting. Working with schools to identify young people who tag their bags and books with opportunities for these young people to be connected into programmes that address identity and belonging issues and expose students to the consequences of tagging. Utilising local artists and designers including Toihoukura students and staff to assist with mural painting in high risk spots and mentoring young people caught tagging. Improving Police response to tagging reports and encouraging judges to include educational and identity development opportunities within sentences. Using positive Maori mentors and educational experiences to ensure that all young Maori in Gisborne have a positive sense of what it means to be Maori instead of the negative self-image many whanau have inherited from society. Advertising and social marketing targeting young people that helps them understand the cost and impact tagging can have on households and neighbourhoods. ‘Dream Expo’ hosted by local schools that encourage primary aged children to realise their potential. Encouraging the establishment of Neighbourhood Watch Groups in areas that are often tagged. 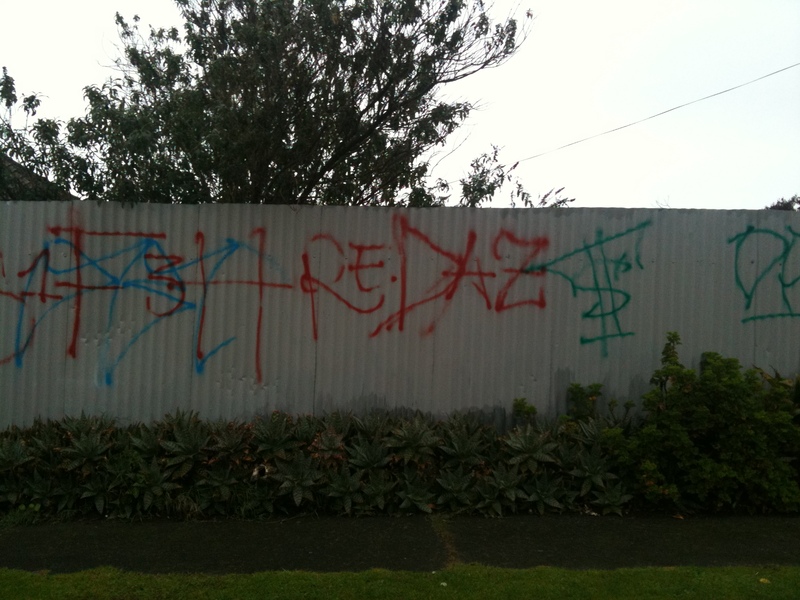 Publicising the profile of the ‘average tagger’ – how they started, what motivates them, what unmet needs they have and how best to steer them away from tagging. Using schools as significant public assets within communities experiencing high levels of deprivation that can be the base for a range of support services to family and provide moral reasoning (skills to decide what is right and wrong) training for children and young people. Encourage churches, sports clubs, marae and service clubs to contribute to a community action plan.